In this paper, we experimentally determined the location of the cloaking regions of a generalized four-lens paraxial cloak. For a theoretical approach, complex beam parameters were used to determine the size of the beam waist inside the system, with narrow beam waists corresponding to significant cloaking regions. The experimental results, however, did not agree with the model. This disparity was attributed to misalignments, with our use of simple, off-the-shelf optical devices. Over the length of the system, tiny lens misalignments can change the beam waist size significantly. M. Revilla, J. C. Lorenzo, and N. Hermosa. 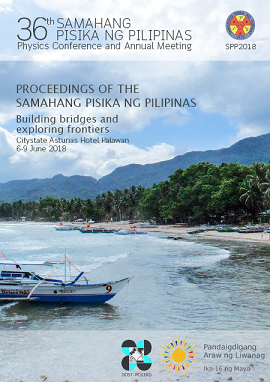 Cloaking regions of a general four-lens paraxial cloak, Proceedings of the Samahang Pisika ng Pilipinas 36, SPP-2018-PC-25 (2018). URL: https://paperview.spp-online.org/proceedings/article/view/SPP-2018-PC-25.